The King Gizzard’s fourteenth album since their 2012 debut – and their first following the release of five vastly different albums in 2017 – “Fishing For Fishies” is a blues-infused blast of sonic boogie that struts and shimmies through several moods and terrains. Flightless Records family members The Murlocs have returned with their first slice of new music since 2017. Presenting you Comfort Zone; four minutes of pure madness! 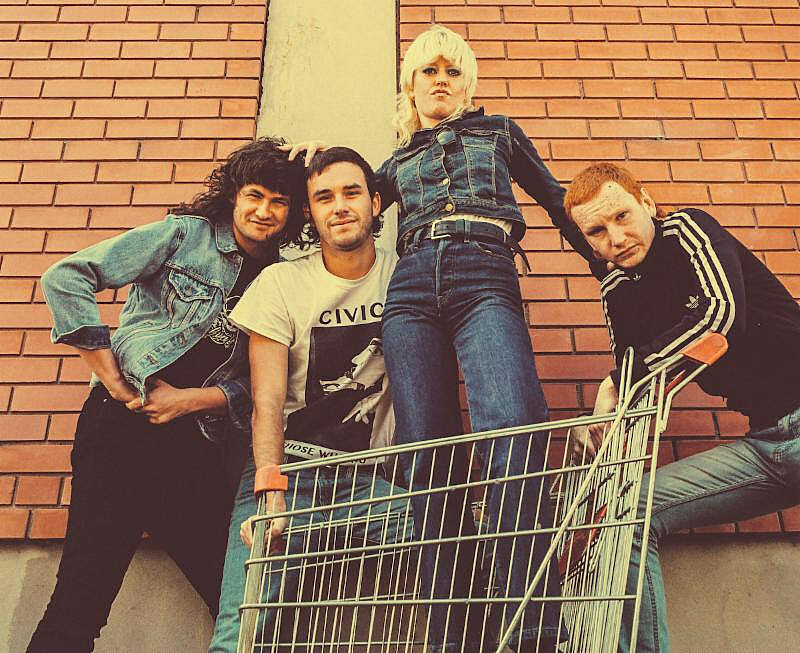 Like the The Damned down under, Amyl and the Sniffers are embracing the Australian ‘bogan’ stereotype, these Rough Trade signees are a liquor-swigging, poppers-snooting, mullet-rocking gang whose music straddles punk and FM rock – and whose gigs are sweatier than a Bondi Beach BBQ in mid summer. you’re going to love them. They’re all about capturing lightning a bottle (a bottle of White Lightning, most likely). One of their two EPs to date, ‘Giddy Up’, was written, recorded and released in just 12 hours. Gizzheads have been eagerly awaiting the reissues of King Gizzard’s first 4 LPs + the Willoughby’s Beach EP. With no new material being released this year (as opposed to last year’s 5 albums…) Flightless Records has in the midst of some extensive touring finally made these gems available for the fans that weren’t around for the first few years of The Gizzness. The prices of the original pressings has skyrocketed hand-in-hand with the popularity of the band over the last few years, and value has been pretty stable inbetween 400-900 USDs pr LP for a couple of years already..
Flightless Records opened up orders on their website a couple of weeks back for some really cool mailorder exclusives (most still available HERE), but as it turns out the most limited variants will be the ones that they’re distributing via ATO in the US (very limited quantities also available via Discrepancy Records and JB Hi-Fi in AU). Flightless stated that after an extreme internet meltdown that has been immortalised the Gizz folklore, we are proud to announce that the REISSUES will be on sale at 9am AEST Wednesday September 19, 2018. The Gizzmaster, Stu Mackenzie announced a while ago that all of the reissues are original Flightless Records pressings, with variants to be distributed by their affiliates in the US (ATO) and EU/UK (Heavenly Recordings). There has been no wording as of yet by Heavenly, but at this point one can only assume that they will eventually be stocking the standard Black Vinyl pressings of the albums. “12 Bar Bruise” is being reissued on Doublemint Green colored vinyl and features new artwork re-imagined by Jason Galea. Packaging includes a 350gsm heavyweight sleeve with semi-gloss finish and an inner sleeve on 170gsm uncoated offset paper with new blurb from Stu. *”Float Along – Fill Your Lungs” is being reissued on Easter Yellow colored vinyl and includes a heavyweight jacket with inner sleeve printed on uncoated offset paper, and a 24″x24″ fold-out poster. “Willoughby’ Beach” is being reissued on Red(ish) colored vinyl and features re-imagined artwork by Ican Harem. Packaging includes an embossed and spot UV deluxe sleeve with 350gsm reverse board finish and an inner sleeve printed on 170gsm uncoated offset paper. 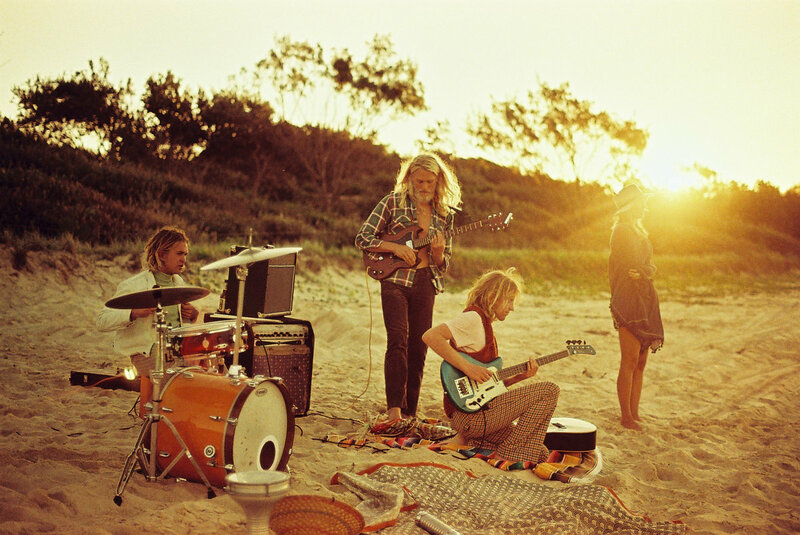 Through The Storm’ is the newest single from Australian, psych-rock luminaries Stonefield. The single comes from their Flightless Records full length “Far From Earth”, The new single can also be found on a very special 7″ single, featuring an non-album extended b-side, via NYC collaborators Greenway Records. ‘Through The Storm’ video features footage from the bands LA residency. Stonefield is back for another Greenway 7″! This time its taken from their latest LP with A side “Through The Storm” and the B-side is an exclusive 7″ only extended version of “Broken Stone”!